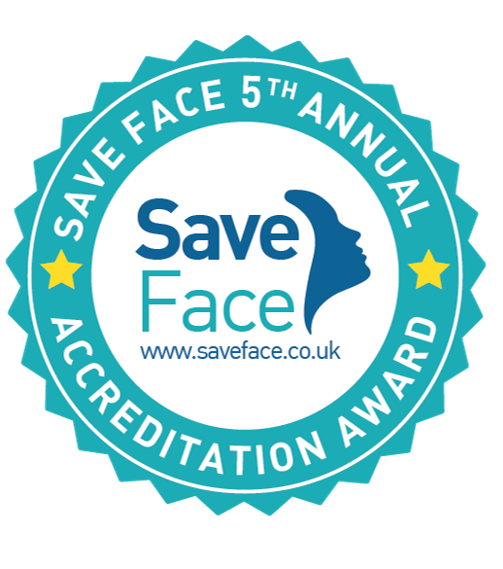 Pradnya Apté, is a facial aesthetics practitioner based in the South West. She has quickly built a solid and trustworthy reputation within Exeter and the surrounding areas, despite having moved her facial aesthetics practice to Devon from Cheshire only a couple of years ago. Pradnya runs her private facial aesthetics practice in the heart of Exeter and is fully registered with the GDC and is currently practicing as a dentist at St Thomas Dental Centre. enhancement is subtle and not obvious. When it comes to treating patients, Pradnya is a perfectionist and it is this meticulous approach that enables her patients to relax, knowing that they are receiving the highest standards of care. Pradnya believes in the power of facial aesthetic work to transform lives and increase her patients’ self-confidence. She understands that a lot of women, and now increasingly men, feel like that they have lost confidence as they have grown older, which is one of the many reasons that she finds the facial aesthetics field to be both enjoyable and extremely satisfying. Pradnya has built a loyal, strong patient base due to the high professional standards that she sets for herself. In addition, she has a very natural ability to put all her patients at ease. Pradnya attributes this to having started her career as a Dental Surgeon, which means she is uniquely placed at calming any nervous or needle phobic patients. Her gentle approach, many years of experience and her deep understanding of patient psychology proves invaluable every time. Her extensive training as a Dental Surgeon also ensures that Pradnya is uniquely positioned to understand every aspect of facial anatomy. She is known for painless injections, a relaxed, professional and friendly approach in both her Dental Career and her growing Aesthetics Practice. For my first procedure, it couldn’t of gone any better Dr Pradnya was very professional and made me feel very relaxed she spoke to me the whole way through checking I was not in any pain or discomfort. Yesterday I had 0.5 mL of lip filler by Dr Pradnya and I am so unbelievably pleased, not only with the results but with all of the care I received. She first took lots of care and concentration for the consultation which is reassuring because a lot of places or just literally get clients to sign it without going through everything. I was very nervous because I’m not very good with needles, she was very reassuring and caring, she even gave me a squeezy ball as I didn’t have a friends hand to hold with me! The clinic was spotless and beautifully presented. The actual procedure was brilliant, pradnya explained she was going to make it as pain-free as possible and that’s what she did. She also changed the needle three times throughout the process to ensure that each needle sharp enough. I’m so happy with my results and I recommend anyone to go to skin Southwest! Pradnya is very professional, caring and gets fabulous results. Can’t recommend her highly enough. Immaculate and attractive consulting rooms and sitting area for clients. Friendly, professional and really care about how treatments will make YOU feel. Pradnya is professional, friendly, knowledgeable and gentle in her treatments. The premises are light, airy and immaculately clean. Highly recommended. I would highly recommend this clinic. I have Botox in my jaw muscles for my TMJ disorder at this clinic and the results have been amazing no migraines or pain! Dr Pradnya is very friendly yet professional and really makes you feel at ease, I would definitely recommend this clinic I will be returning regularly. Looking forward to seeing the results in a few weeks. This is the 3rd time I’ve been to see Dr Pradnya. Really good trust worthy lady. Definitely recommend anyone to have treatment done .